WEST BOYLSTON, MA U.S.A. (February 22, 2017) – Emuge Corp. (www.emuge.com) announced it has expanded its EF-Series of high penetration rate drills with a new line of sub-micro grain carbide coolant-fed micro drills. The EF High Performance Micro Drills range from 0.0295 in. (0.75 mm) up to 0.1181 in. (3.0 mm) in diameter, are all coolant through design, and are ideal for aerospace, medical and precision automotive applications designed for producing very small deep holes in steel, cast iron, stainless steels and non-ferrous materials. All tools are 6xD length and can accommodate most production applications. The unique face geometry of the EF Micro Drills generates short chips in the drill operation, ensuring high drill hole accuracy. The micro face point and flute geometry, in addition to the coolant-fed design enable excellent chip evacuation for the highest possible drilling speed, while reducing the need for peck cycles or clearing chips. The drills have a TiALN T99 multi-layer PVD coating designed for added heat and wear resistance. This significantly reduces built-up edges and edge chipping, substantially increasing tool life. In addition, the large central tool shank channel guarantees maximum coolant intake capacity, allowing optimal coolant transfer. The internal coolant supply enables economically efficient, high performance machining down to even the smallest drilling diameter of 0.75 mm. 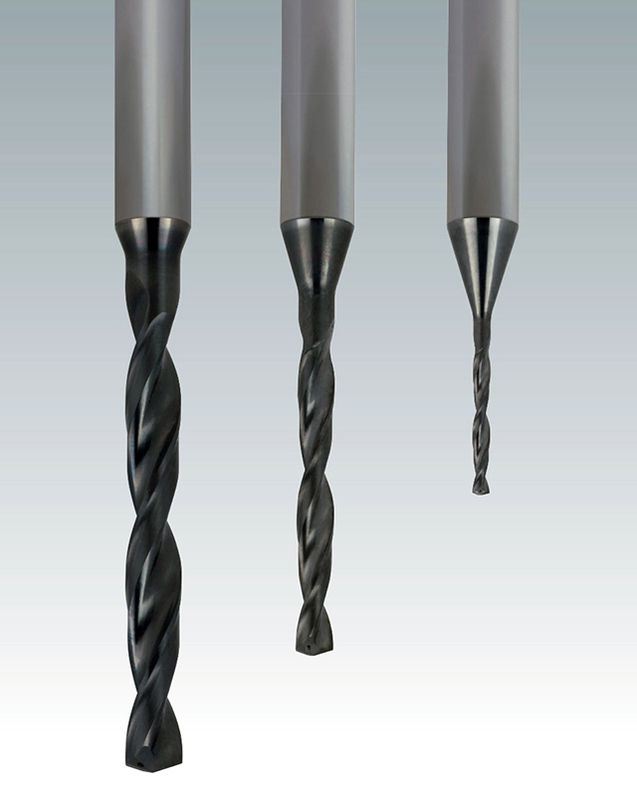 Drills also feature a double margin design for added stability and superior hole surface finish. Emuge EF Series Drills are the result of extensive research and development and incorporate special geometry, proprietary carbide grades and a PVD coating design that is unique to the industry. The result is three to five times faster penetration rate than conventional carbide and cobalt drills, in addition to exceptional, high quality threads and longer tool life.